MRM - Mini roller assembling - Wöhler Bohemia s.r.o. 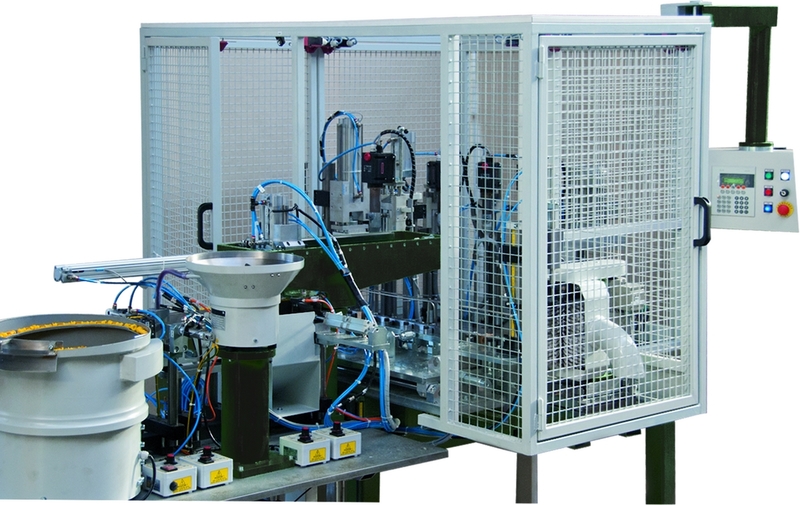 Assembly machine MRM for mini and midi paint rollers for integrated inline operation following the thermo fusion process. The process starts with the operator laying 2 blanks on the carousel followed by the automatic production steps of diameter drilling, pre-heating in 3 stages and forming of the ends. At the same time the plugs are pre-assembled with the bearings and fed to the assembly station by separate feeders. After the rollers have been mechanically turned and the pre-assembled plugs fed the parts are automatically assembled together by pressing. Finally the finished rollers are combed and ejected.